Apple Music not Working on iOS 11/iOS 12? Here are Easy Fixes. "My Apple Music app does not work now after I update my iPhone 7s to iOS 11. I can't open it to play any song. Any suggestion on how to fix this problem?" Used by over 40 million fans, Apple Music is undoubtedly one of the most popular music apps in the world. But this fact does not make it the best one necessarily. The truth is that it can be problematic once in a while. Recently users of iPhone X/8/8 Plus/7/7 Plus/6/6s/6s Plus/5s/SE, iPad, or iPod reported about the problems they encountered in using Apple Music after updating their devices to iOS 11 or latest iOS 12. Among those Apple Music issues, Apple Music not working after iOS 12.2/12.1/12/11 update is one of them, along with Apple Music freezing, radio stations not working, Apple Music crashing on iOS 12/11, etc. If you have ever been bothered by the above problems as well as others, this article may help you find the easy fixes. 8. Apple Music not downloading songs. When your Apple Music does not work on your iPhone/iPad/iPod after updating to iOS 11/12, try the following tricks to fix the problems. 1. Restart Apple Music. Double press the home button, swipe off Apple Music to close it. Then tap to restart it. 2. Restart your iPhone/iPad/iPod. Press and hold down the power (Sleep/Wake) button for a few seconds, slide the bar when it appears to power off your device. Then press and hold down the power button again and let go until you see the Apple logo. 3. Reset your network setting. Go to Settings >> General >> Reset >> Reset Network Settings. 4. Launch Apple Music in a different way. Go to Settings >> Music >> Join Apple Music. 5. Log out and in the iCloud Account. Go to Settings >> Music, and turn off Show Apple Music. Go to Settings >> iCloud, and sign in iCloud account. 6. Force restart your device. Press and hold down the Sleep/Wake (Volume Down button if it's iPhone 7/7 Plus or above) and home button at the same time until you see the Apple Logo. 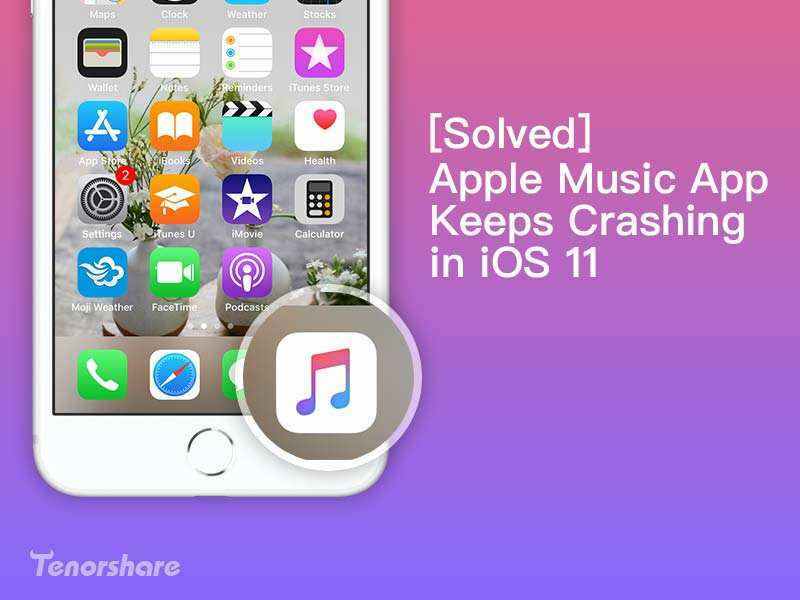 When all the above solutions still fail to kill off the problem of Apple Music, you may consider repairing your iOS 11 on iPhone/iPad/iPod. Tenorshare ReiBoot is a powerful tool that helps restore your iDevices without using iTunes or causing any stuck problems or data loss. Step 1: Connect your device to Tenorshare ReiBoot. Click "Fix All iOS Stuck", and then "Fix Now ". Step 2: When you see the interface below, click "Download" to download the iOS firmware that matches yours. Alternatively, you may select the firmware already existing in your computer by clicking "Select". Step 3: After the download is finished, you may click "Start Repair" to start repairing iOS 11. When the repairing is completed, your iDevices have been restored successfully. Though that Apple Music does not work after iOS 12/11 update really ruins your mood to enjoy music, it is far from the end of the world, now that you have learned quite a few handy tricks to solve the problem. 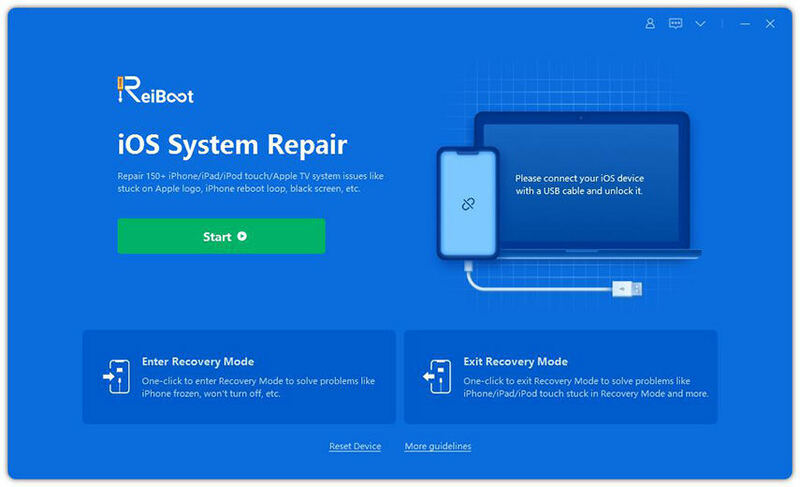 Even if they do not work, you can repair the existed iOS 11 by turning to Tenorshare ReiBoot for help. 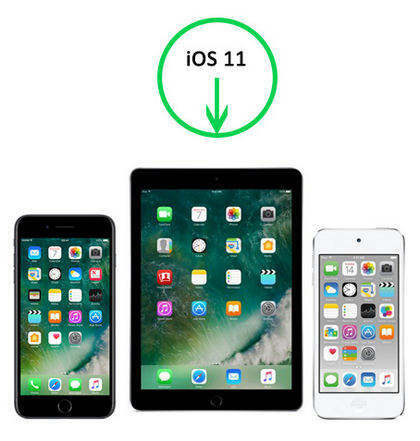 The best thing about Tenorshare ReiBoot is that repairing iOS 11 with this software will not cause your devices stuck or any of your files lost.